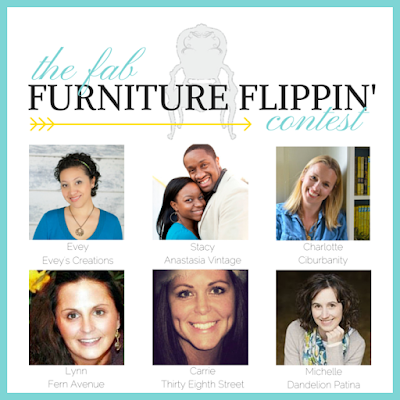 This month I am participating in the Fab Furniture Flippin' Contest. The sponsor is The Old Fashion Milk Paint Company based in Massachusetts making naturally safe historic paint since 1974. Thank you, OFMP for offering a discount to participants in the contest. All of the comments and opinions are my own and not influenced in any way. The Theme is Shabby Chic Storage this month. My eyes lit up with joy as the piece I chose is a chest of drawers that was in my family for years. It was white with pink handles while my sister and I shared a room. Please click on the title link of our lovely Co-Host posts for this month. The representative was wonderful explaining to me how to create the effect I wanted and what products to buy to produce the finish I desired. I called The Old Fashion Milk Company to ask two questions. My first question was how much paint do I need to paint the dresser? The answer is 12 oz. 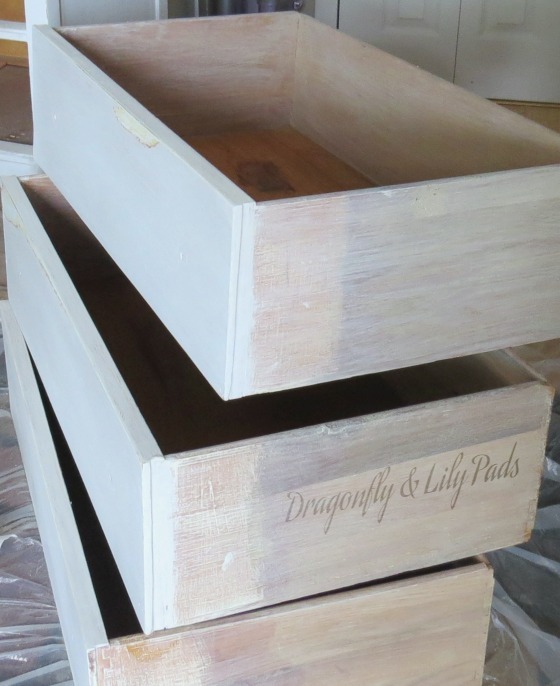 of the dry OFMP, and because the piece was already finished a bonding additive is needed for the first coat. When you make the paint you add water according to the included instructions. I found them easy to follow, but I was nervous to mix the paint. My brother painted this wood tone while he was using the chest of drawers. 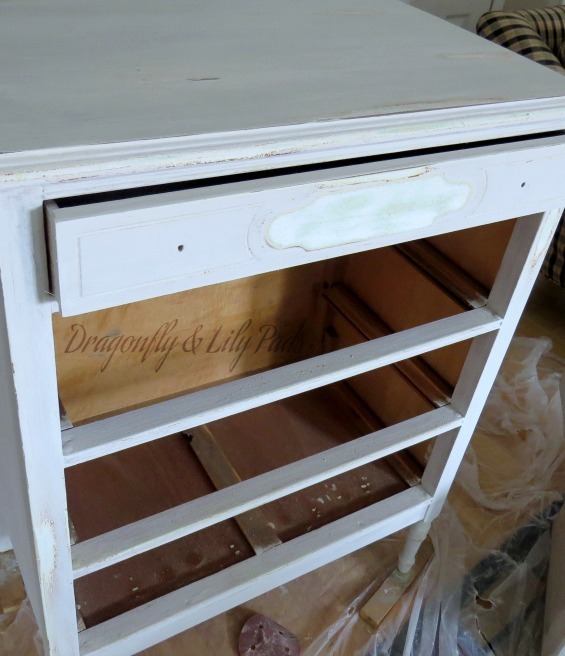 There were several layers of paint revealing the past of this hand me down furniture. The orbital sander had quite a workout during the prep portion of the project. My brother's finish would have lasted generations. He did such a great job the sander sparked, sputtered and burned out. I finished by hand sanding the piece. Removing the paint revealed memories of two sisters sharing a bedroom. 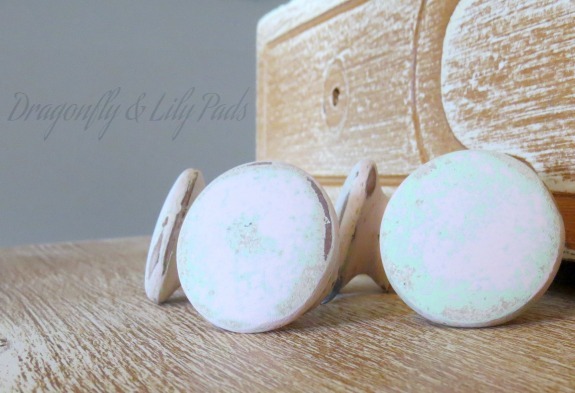 I sanded the knobs to the pink paint. It was then my plans to change the hardware vanished. Those pink and green knobs are a small link to the past I am not willing to erase. The first coat of Oyster Milk Paint is mixed with Extra Bond because this piece already had a finish. Extra bond is not needed on bare wood. Two hours later I applied the second coat. 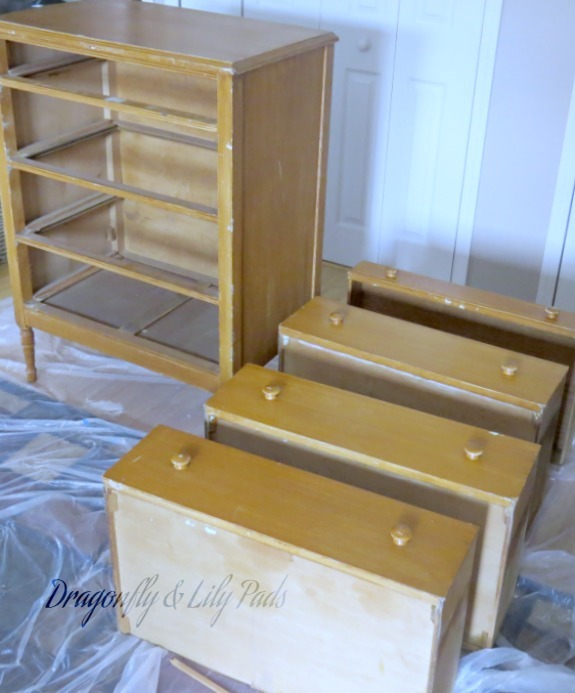 Then I thinned a small amount of paint with water making a wash for the sides and back of the drawers. It looks similar to pickling wood. The next day I began the process of applying Bees Wax shadow black. 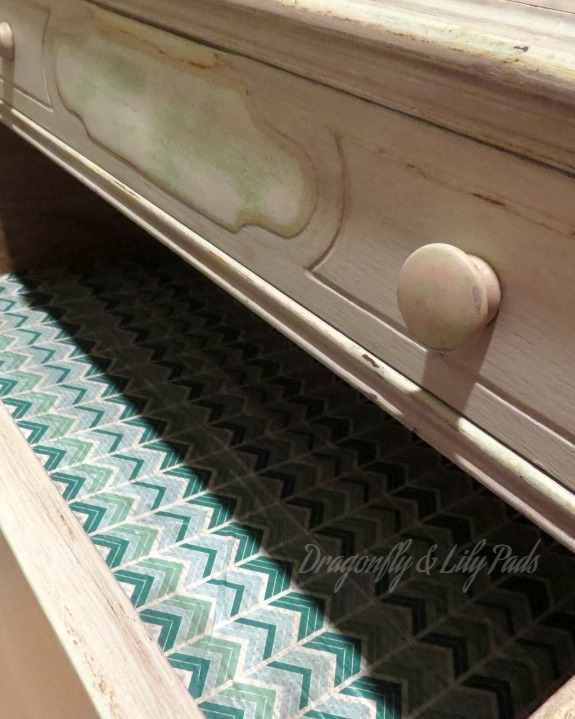 This is my favorite part because the wax adds depth to the finish of dresser. To reflect the two of us sharing this little lady, I alternated the pattern of paper. 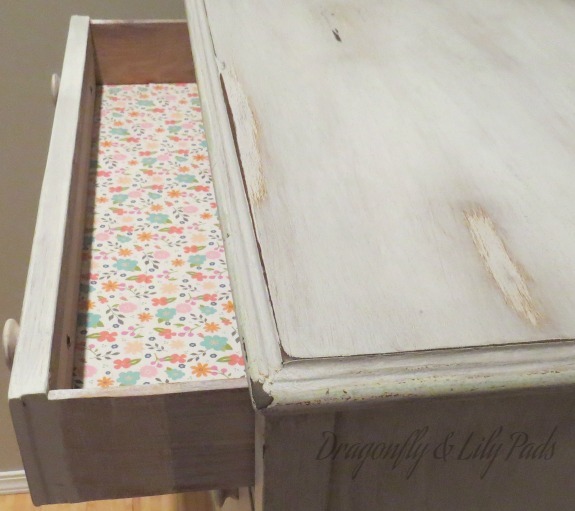 I used Mod Podge to adhere and finish coat the chevron and flower pattern paper to the bottom of the drawers. Of course my Prince Charming says it doesn't matter because, I only leave him the bottom drawer anyway. Yep! He is right. I finished this piece on Sunday evening. Shot my photos and drove back to Illinois. The drawer liner is still drying in this picture. I am so happy with the way the piece turned out. It is waiting for my return to move it into my bedroom, fill three drawers with my clothes and the bottom one is PC's. Isn't she gorgeous? Check back on FaceBook to see her in place in our bedroom. Honestly, I can not wait to get back to Michigan to put her in place and fill her up with our clothing. I surprised myself by all the memories she brought back to warm my heart. I felt like I was giving her a facial as a gift for her years of service to our family. To participate in the FFFC please contact one of the following lovely ladies at their email included below. Beautiful piece! I enjoyed reading about your memoirs with your sister. Memories are so powerful aren't they? The pink knobs look exactly right, I wouldn't change a thing. 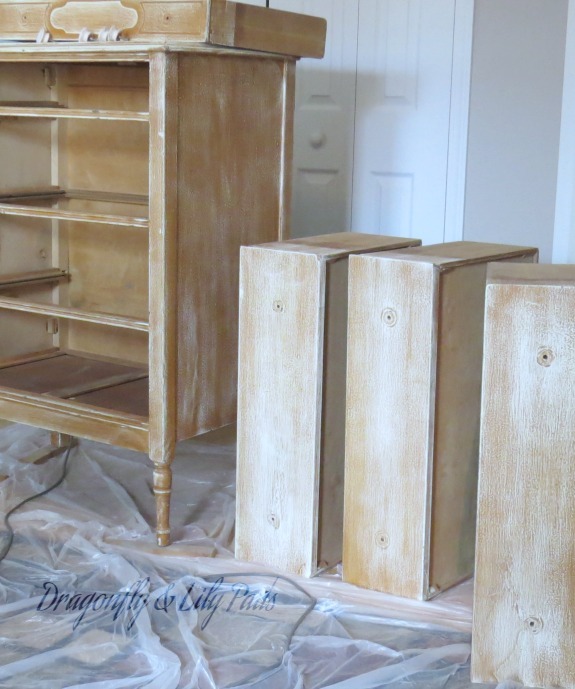 I would love to try milk paint, I will send an email for more info! Thank you, for checking out my latest work. 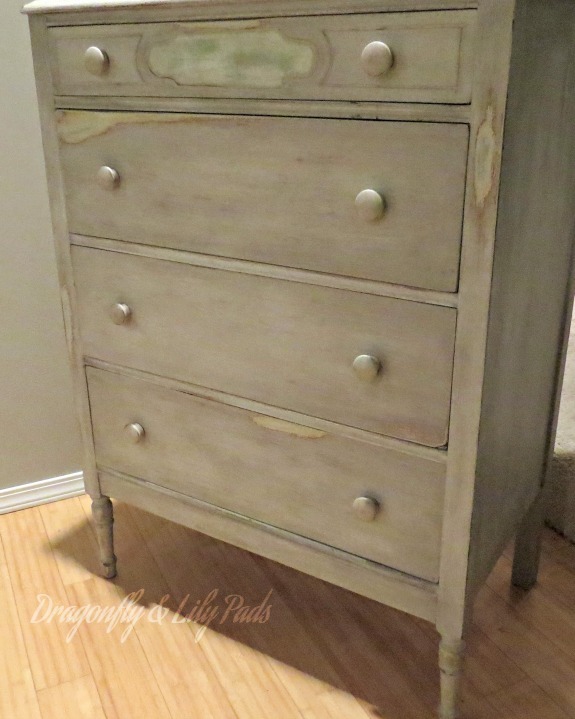 I am glad it sparked some interest in working with milk paint. Thank you for your sweet word. It means the world to me that a talented person as you are stopped to compliment my work. This looks beautiful, and I think you completely made the right call on those knobs. I really love the worn look, and of course, all those memories they hold. This was my first time using OFMP, and I really like it! Thanks for linking up with us at Dream. Create. Inspire. Link.! It was so nice of you to leave a kind word on the blog today. Thank you. OFMP is a great paint product. The people who own the business are wonderful to work with. No I do no work for or am compensated to say that either. Congratulations! You did a really good job. I'm doing some research on painting. I have some old things and I want to paint them. But I have no idea. What do you think? Thanks for the tips. You did a great job. After a lot of work, you have "new" thing in the house. Wow, that's a nice looking drawer! That's one thing I love about having old furniture to revamp is that there is just so many memories in it - that makes it harder to throw away! Did you use any Woodworking tool for it?